Breck shampoo got me off cowboys and onto pretty girls. Ward Bond of Wagon Train was one of the first TV Western stars I picked to do a portrait of, I was probably 10 at the time. All the Warner Brother's Westerns gave me plenty to draw. Some I drew directly off our old Zenith TV. Later a bubble gum company put out cards on TV stars. I used these cards to draw from. 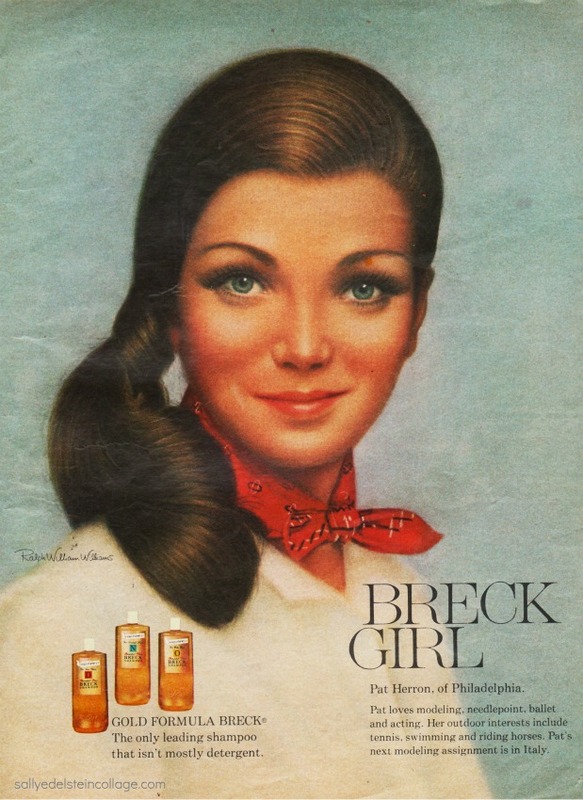 Later I discovered Breck Shampoo ads in my sister's Glamour magazines and I gave up cowboys for pretty girls and I've been working with pretty girls ever since. I love doing paintings of beautiful women and pretty girls, but now I want more than a pretty face. Even with dramatic lighting faces aren't enough. 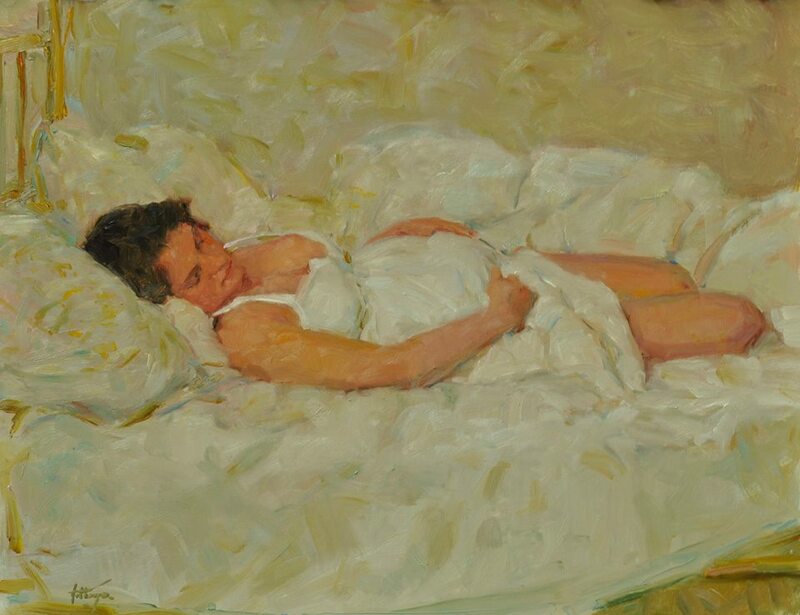 I prefer doing full figure paintings set in landscapes or at rest in an interior giving me the challenge to build still-lifes around them with multiple light sources. Paintings with multiple figures are my favorite subjects to do. Toss in an imaginary setting and I am a happy camper. Add a wonderful model and I can easily work 10 hours a day, which I usually do. Every once and a while a model reminds me to take a break and exercise a bit. Jordan knows not to ask any serious questions of me while painting because I always say yes. Jordan has become my studio manager, she keeps track of paintings and makes sure paintings are shipped out on time and framed well. She keeps me up on answering collectors inquires, her friend Adrienne has taken on many of these duties since little Josephine has come into Jordan's life. Jordan and Adrienne keep me free to do what I love and that is painting. I love these two ladies and feel blessed to have them in my life. I'm surrounded by great friends.